I just got fascinated when I saw this models on a Art&Design store in Tokyo. They are just wonderful. Why not use a lazy Sunday and not bring them into life? 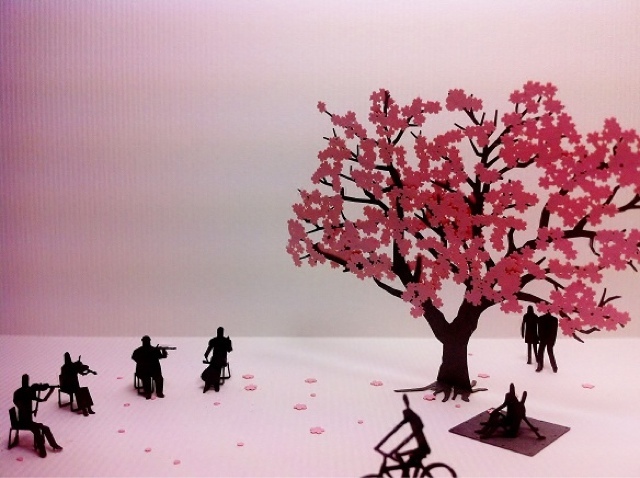 Terada Mokei is a miniature design line created by architect and designer Naoki Terada. 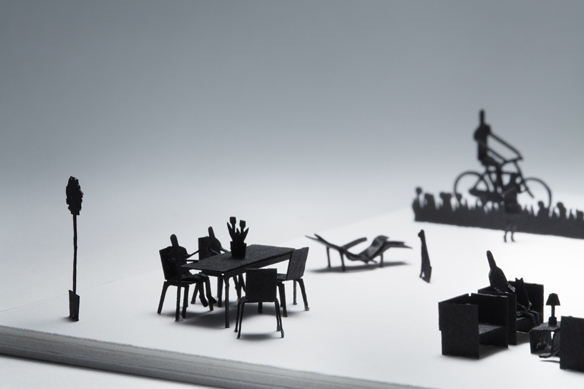 In his models he show us the everyday life where the family, always present, can be seen in different scenarios. From resting under beautiful cherry trees, to siting home, listening to a classic concert or just walking in the streets from Tokyo, New York or Amsterdam. This all in a 1/100 scale. Everything is just the way it has to be. Even a little imperfection make it real. His eye for the details make him this amazing designer he is. 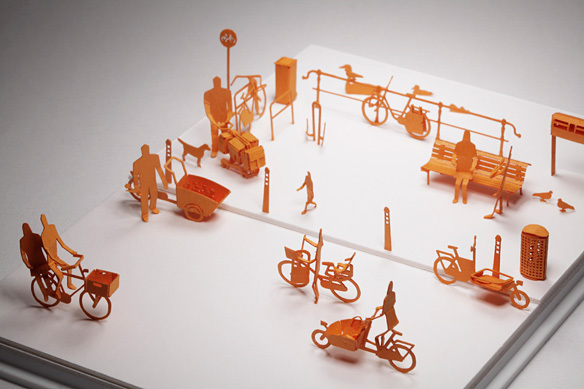 Each kit is made of heavyweight tant paper, but is tiny enough to fit in your hand. You can order and find the whole collection here.